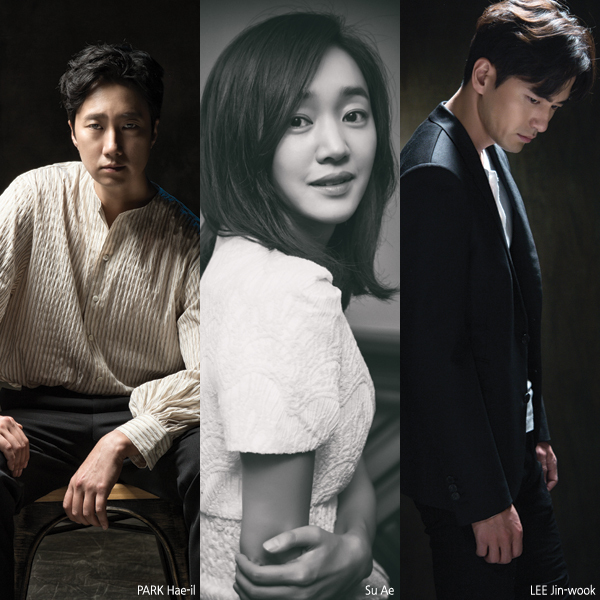 Film Marks Return of Award Winning Director BYUN Daniel H.
Actors Su Ae, PARK Hae-il, and LEE Jin-wook are confirmed to star in High Society. The film centers around a couple who dreams of moving up to a higher status in society. The husband is a professor at Seoul National University who plans to run for the National Assembly while the wife is a deputy curator at an art gallery. The film focuses on their desire and love. Su Ae and PARK Hae-il were confirmed as the married couple a while ago, and LEE Jin-wook just confirmed his participation on October 27th. LEE will play a media artist who has a secret love affair with Su Ae. After releasing Five Senses of Eros in 2009, this is director BYUN Daniel H.’s return to commercial film following an 8 year absence. BYUN graduated from the University of Paris and filmed his short Homo Videocus in 1991. It won him the grand prize at the San Francisco International Film Festival, Youth Jury Award at Clermont-Ferrand International Short Film Festival, and also the jury prize from Montecatini International Short Film Festival. In 2000, he debuted with the melodrama feature Interview, which starred SHIM Eun-ha and LEE Jung-jae, followed by feature films Five Senses of Eros and The Scarlet Letter (2004). High Society will be a return to the silver screen for Su Ae and LEE Jin-wook who performed in Run Off and Time Renegades respectively last year. Meanwhile, PARK Hae-il, who gave a strong performance in the recently released The Fortress, will also star in ZHANG Lu’s A Singing Goose (working title) and HAN Jang-hyuk’s Control which are to be released later this year. High Society, which along with its lead three actors is already receiving a lot of buzz, is scheduled to start shooting in early November.